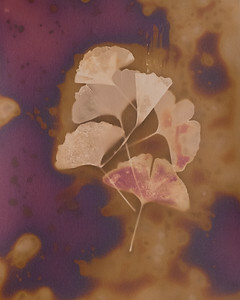 This is a series of hybrid photo-based prints that fuse the organic and technological elements of the natural environment. 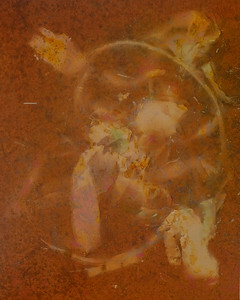 Using plant materials gathered from the beach, the forest, and the street, I choreograph a process that allows an image to take on a life of its own in the development process. 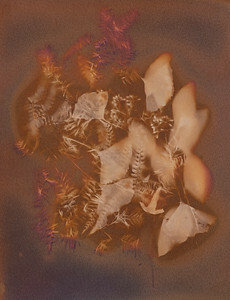 These prints are photograms made by a contact printing process that leaves traces and shadows on photosensitive surfaces. 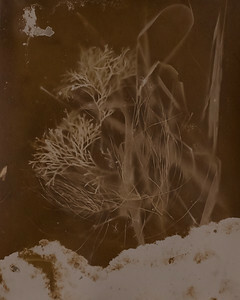 Plant enzymes and atmospheric conditions also interact with the surface to produce unexpected alchemical results on the surface of the paper or sheet film, leaving X-rays like marks of both their shapes and interiors. 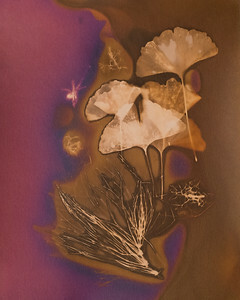 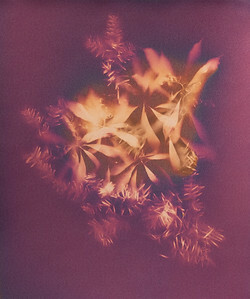 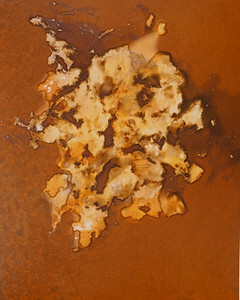 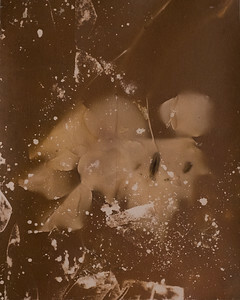 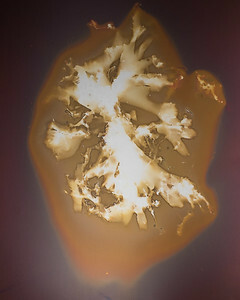 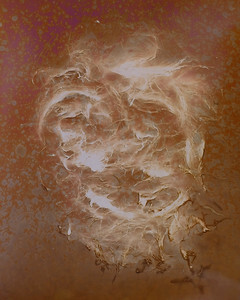 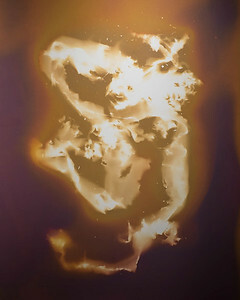 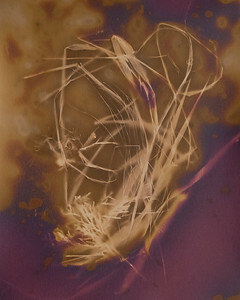 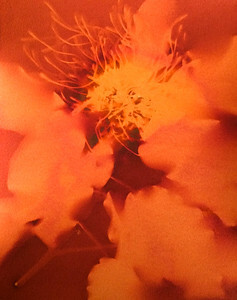 These Lumen Prints invite viewers to engage on a primal level to look again and make meaning from ambiguity. 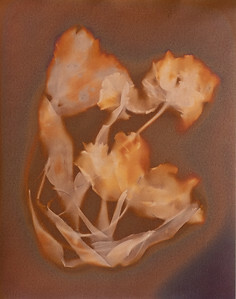 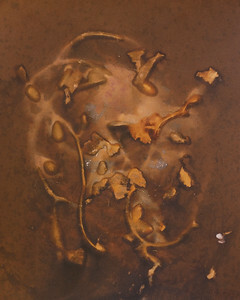 These impressions of the plant life hover on the cusp of abstract imagery and poetry.